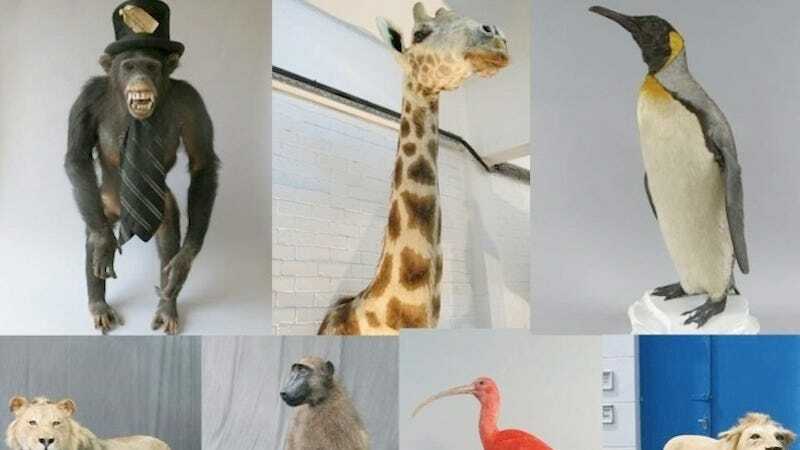 Somebody has stolen £100,000 worth of antique taxidermy from a London warehouse, including a King Penguin and a chimp wearing a top hat. I think they were after rhino horns - that is my theory. I have a couple of fibreglass ones on the website and they may have mistaken them for the real thing. So they just began taking things at random - two lions, two giraffes, the King Penguin, the chimpanzee in a top hat as well. “This was not a random crime, the burglars had came prepared and well equipped. This was a criminal enterprise and these thieves need to be stopped before they commit further crimes,” added Detective Constable Edward Bird in a Metropolitan Police request for the public’s help. If you happen to spot a stuffed chimp wearing a top hat, please contact Scotland Yard.